Maybe you’re stuck, you’ve hit a plateau, or maybe you’re about to hit the jackpot. 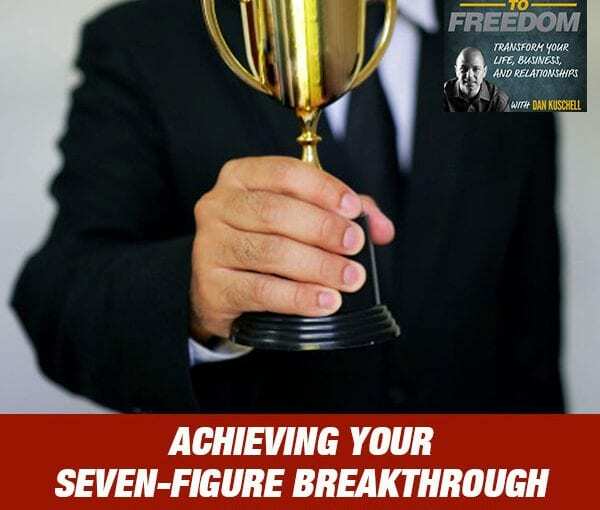 With the BOTE Method, the seven-figure breakthrough comes easily. Its Parthenon structure combines Jimmy Harding’s Triangle of Transformation and Tony Robbins’ smart Six Human Needs. BOTE stands for breakthrough, outcome, transformation, and experience. 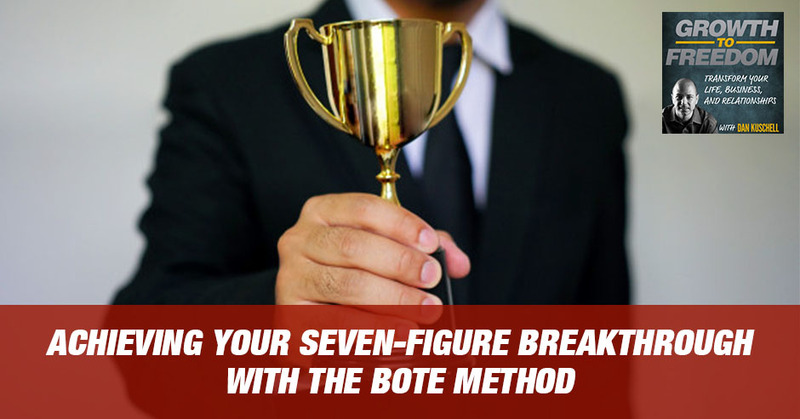 With the BOTE Method, you don’t need to sweat the 43 quintillion possible combinations on a Rubik’s cube of business to crack the code. What if you could multiply the 5 key areas of your business by 10? Your business would explode! There’s no doubt that growth on a personal level and in terms of business skills and development is what you need in order to grow your bottom line and reach more customers with what you have to offer. But how do you accomplish that? It’s not as difficult as you might think if you take the time to ask some key questions. They’re questions that reveal where you are, what areas you need the most growth in, and even places where you can maximize your productivity and effectiveness by delegation. 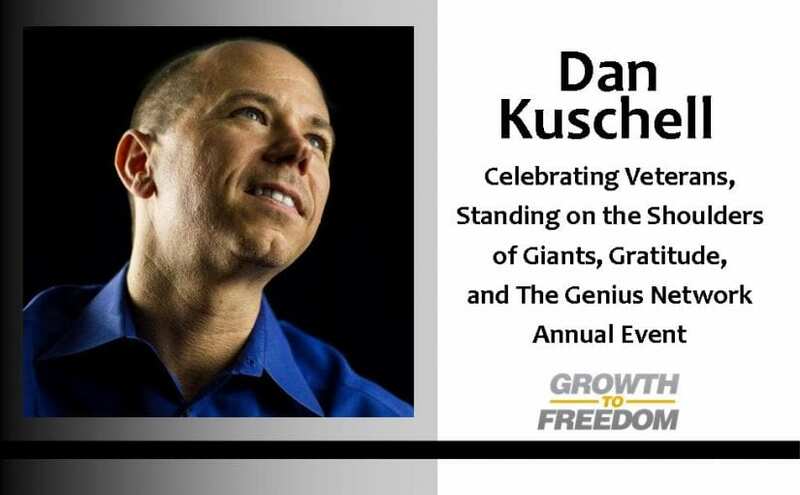 On today’s episode of Growth to Freedom Dan gives you those questions and walks you through exactly how you can ask them, answer them, and apply your answers by making a practical plan to grow each area of need by 1% every week. Think about that: 1% growth every week in your key areas. Where would you be by the end of the year if you grew 1% every week? You’d be experiencing a 52% improvement and the effects that could have on your family, team, and business are incalculable. We live at the greatest time in human history. We get to take advantage of the right to participate in entrepreneurship and capitalism. Our Veteran’s protect our freedom and give us the opportunity in this country to do something big, something special, and sometimes we take it for granted. I challenge you today to stop – be grateful for those Veterans who are willing to serve and give their lives for us – so we can live with Freedom. And today you’re going to learn how to accelerate your momentum, go to the next level, and create the life you want – in gratitude, contribution, and as a servant leader! How often are you in a peak state of joy and fulfillment? On the other hand, how often do you find yourself dealing with stress, anxiety, and worry? Emotional Mastery can provide you greater freedom, peace, confidence, significance, growth, contribution, adventure, and love if you learn how to put its power to use for you. Today’s guest expert is Dr. Cristy Lopez, a psychologist, Coach, and has been an expert on TV shows like Dr. Phil, Downsized, and more. She helps people in transition create the life they want – in their career, business, life, and relationships. She is uniquely qualified to help you achieve greater Emotionally Mastery starting today. When you plant the right seeds, you can reap a harvest. What you feed your mind, shows up every day. The quality of questions determines our bigger future. Today, you’re going to learn how to plant seeds of greatness, ask questions to transform your bigger future, and access wisdom from doing over 300 interviews with the top leaders in the world – to give you greater confidence, capabilities, and growth.